Plan 9 Music is an independent record store with more than 29 years in the music retailing business, and a proud member of the Coalition of Independent Music Stores. Our store in Richmond carries a wide selection of new and used CDs and LPs in most musical genres, from bluegrass to jazz to hip-hop. 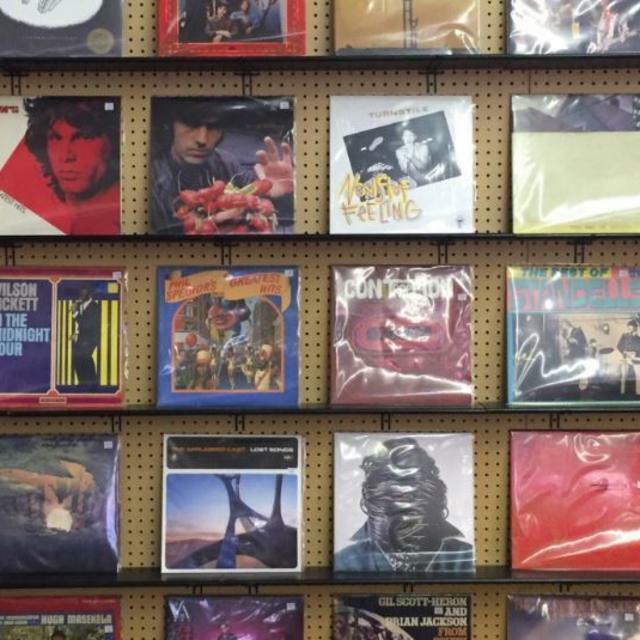 Plan 9 features a large selection of used vinyl in our stores, as well as an extensive collection of 45's, 78's, and LPs. Plan 9 is an active supporter of the independent music community, supporting local artists and their shows, currently carrying over 300 titles on consignment directly from area bands. Plan 9 offers in-store performances by both local and nationally-known artists. Plan 9 is also a working sponsor of the Richmond Folk Festival www.richmondfolkfestival.org, selling artists cds and festival merchandise on site at the annual event. Plan 9 Music's employees are rabid music fans themselves and thrive on helping guide our customers as they expand their musical horizons and their collections in a true indie record store environment.